A teenage Israeli pianist is preparing to premiere a work by the Glasgow-based composer Mark Goddard at the internationally renowned Cliburn International Junior Piano Competition in Dallas, Texas next year. 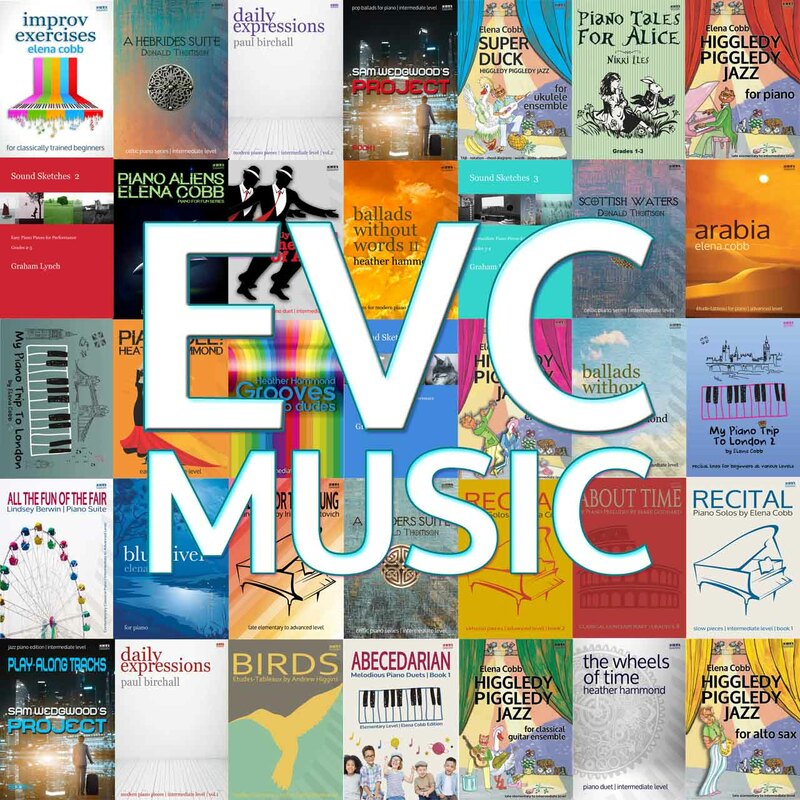 Published by EVC Music, Six Piano Preludes About Time, has been described as an “extremely attractive piece for young pianists, with an abundance of syncopation and bright harmonious colours”. Currently, Noa is working on the preparation for the qualifying round. Noa also will give a UK premiere for the Mark Goddard’s Preludes at the Elena Cobb Star Prize Festival on 4 April 2019 at the Royal Albert Hall. Noa Kapelyushnik, who is 14, is taught by the eminent piano pedagogue Professor Tania Kozlova at the Israel Conservatory of Music in Tel-Aviv. Noa has held a scholarship from the American Israeli Cultural Foundation and she is currently a scholar with the Zfunot Tarbut Foundation. “Goddard’s Preludes immediately struck me with the originality of the contemporary musical language, precision of the rhythmic patterns and an abundance of syncopation, combined with bright harmonious colours. The title About Time does not limit music just to a historical excursion to the origins of our civilization, its height and destruction in ancient times, but also allows us to draw historical parallels with what is happening in the modern world now. “I was really delighted to hear today that the talented Noa Kapelushnik will be playing my Six Piano Preludes About Time next year at the second Cliburn International Junior Piano Competition. I find myself indebted to both Noa and EVC Music for their phenomenal enthusiasm and dedication! I visited Texas nearly twenty years ago and enjoyed every minute of it — the Cliburn competition provides ample reason to revisit in 2019!”. Noa regularly attends master classes with leading piano pedagogy educators. Professor Alex Sokolov (Russia/China), Professor Jerome Lowental (USA), Professor Ilana Vered (Israel, Italy, USA) are among them. 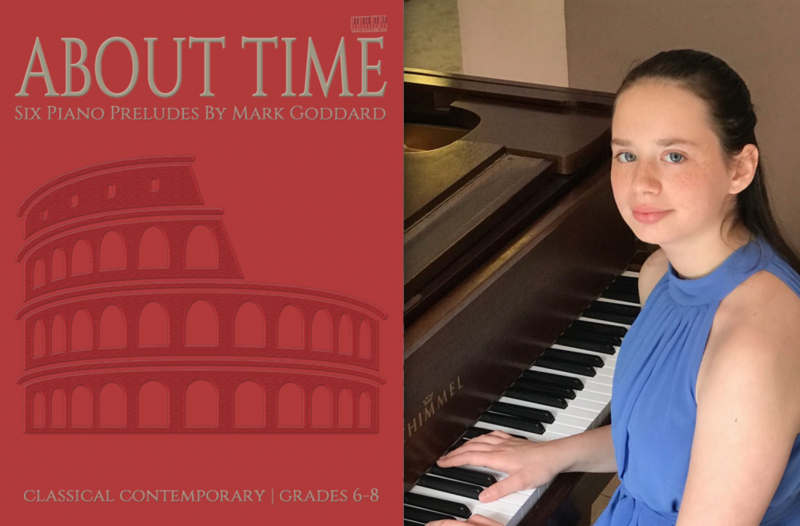 This entry was posted in EVC Music News and tagged EVC Music, Israel Conservatory of Music, Mark Goddard, Preludes About Time.